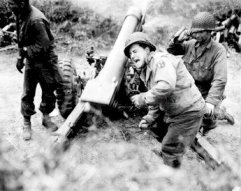 Organized as the 94th Infantry Division (ID) in the Territory of Puerto Rico in 1918, the division was never activated because of the end of World War One hostilities. The division survived on paper until 1921, when it was constituted as an organized reserve unit dubbed the “Pilgrim Division,” as much because of its New England roots as the unit’s shoulder patch depicting a blunderbuss-wielding pilgrim. 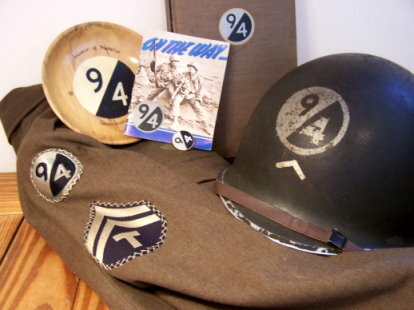 When the 94th ID was activated at Fort Custer near Kalamazoo, Michigan on September 15, 1942, the shoulder patch was changed to the now-familiar half black-half gray circle with the Arabic numerals nine and four superimposed in reverse colors. 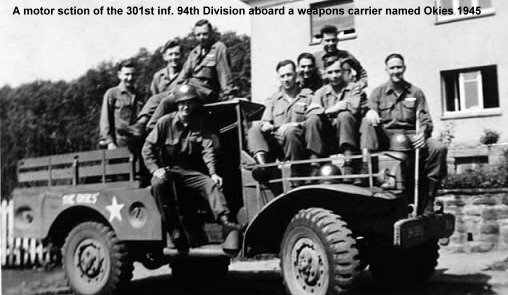 As part of General Patton's 3rd Army, the 94th ID was known as "Patton's Golden Nugget," and fought in numerous battles within the European Theater of Operations. 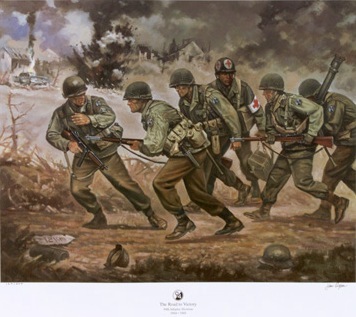 The 94th ID landed across Utah Beach, France, on September 8, 1944 and relieved the 6th Armored Division (AD) at Lorient and St. Nazaire, where German garrisons were besieged. 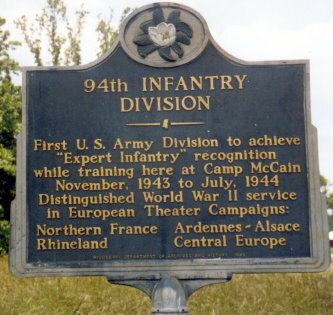 The 94th ID engaged in containment activities there until relieved by the 66th ID on January 1, 1945. 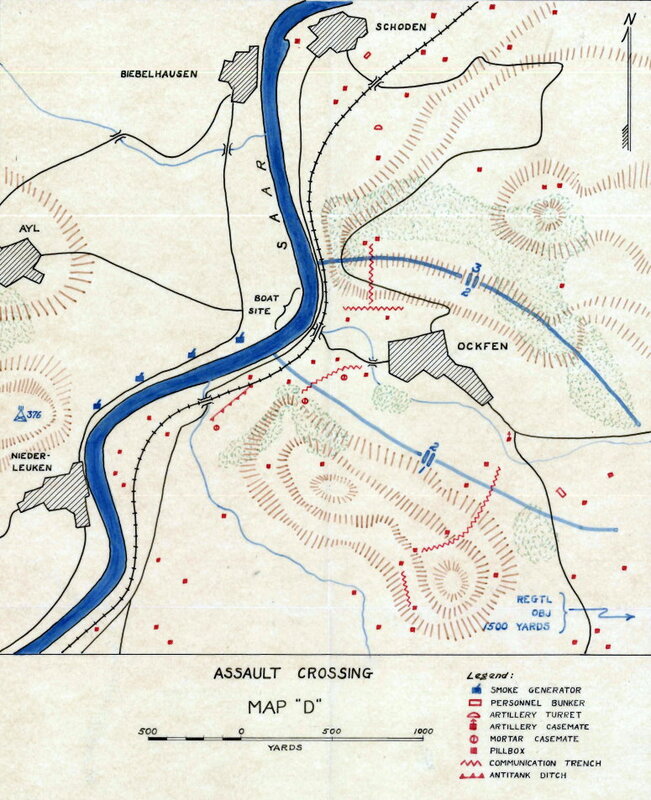 It then moved into positions in the Saar-Moselle Triangle and relieved the 90th ID south of Wasserbilling. 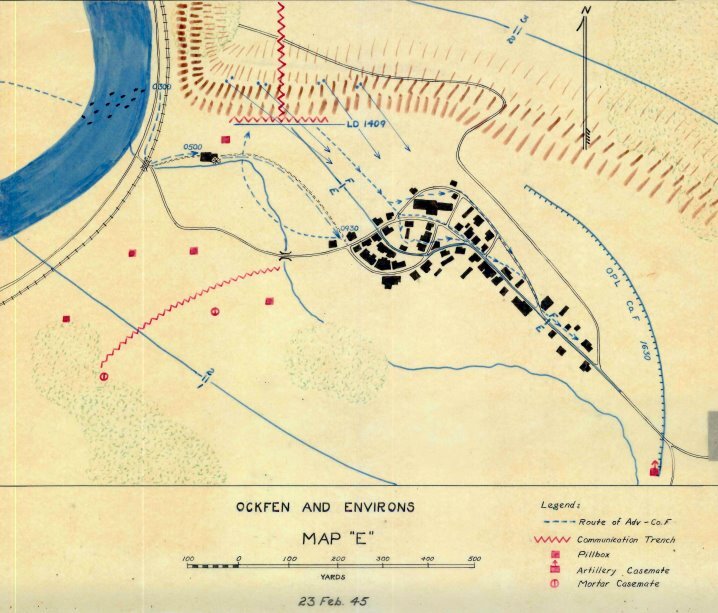 The division fought in the Battle of Nennig; the Battle of Orscholz; and the Battle of Berg. 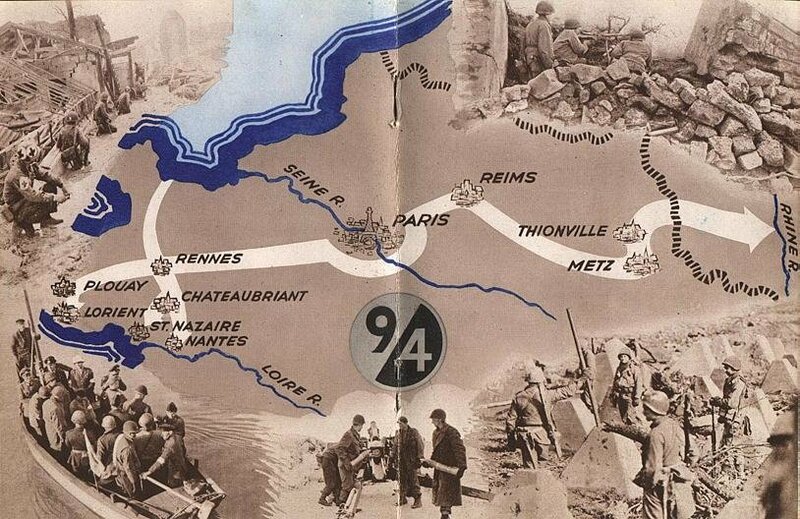 On February 19, 1945, supported by heavy artillery and air support, the division attacked with all three regiments to breach the West Wall switch-line defenses and clear the Berg-Munzingen Highway. 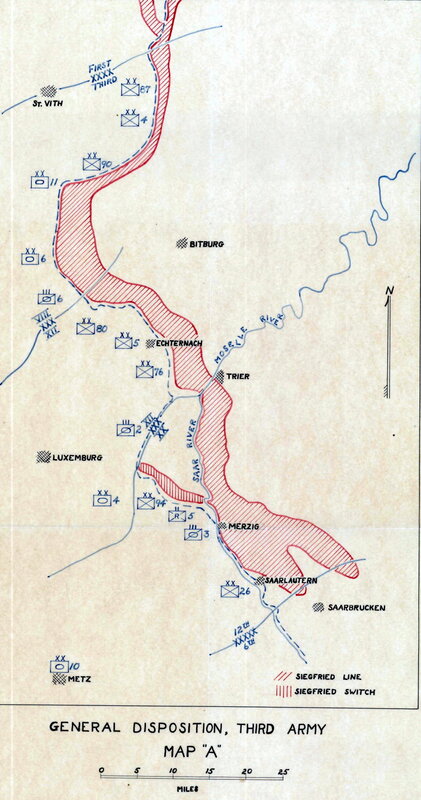 It then followed the 10th AD and cleared the Saar-Moselle Triangle below Ordholz and Saarburg. 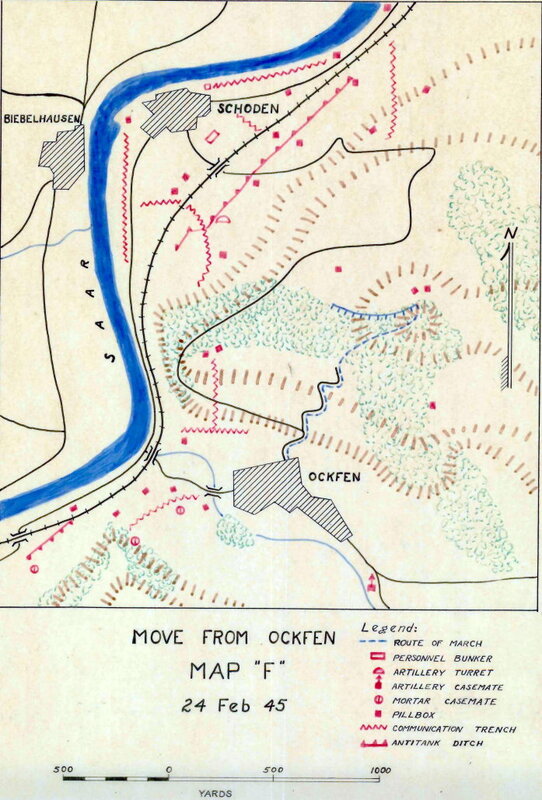 The division crossed the Ruwer River by ford and bridge on March 13, 1945, participating in the Battle for Ludwigshafen. 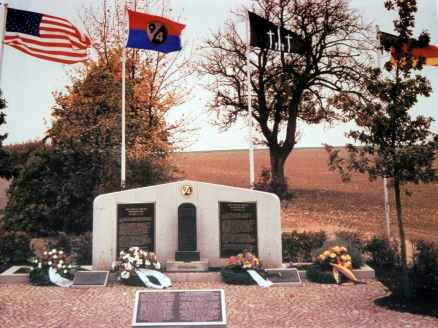 On April 3, 1945 the division relieved the 102nd ID along the Rhine. 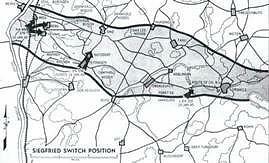 There it assumed responsibility for containing the western side of the "Ruhr Pocket." 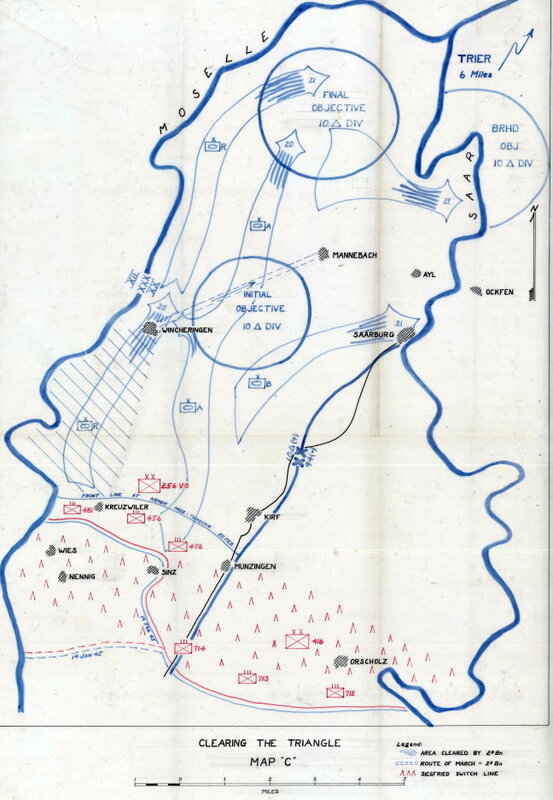 By mid-April, the division relieved the 101st Airborne Division and assumed military government duties, first in the Krefeld vicinity and later around Dusseldorf. 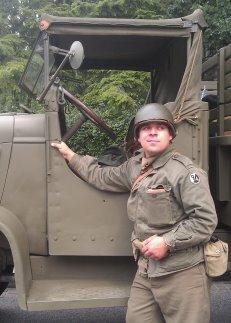 It was in that status when hostilities were declared at an end on May 7, 1945. The division assumed occupation duties around Dusseldorf from the end of April to mid-June, and then in Czechoslovakia until the end of November. 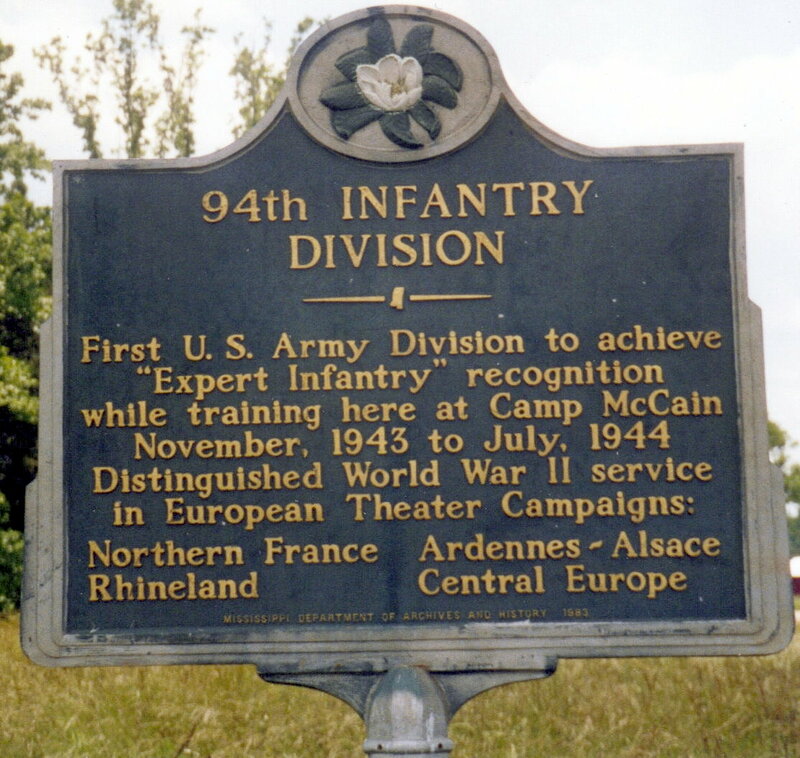 The next significant event for the 94th ID occurred in 1967 when the division was redesignated as the 94th Army Reserve Command (ARCOM) and headquartered at Hanscom Air Force base, Massachusetts. Two company-level units within the 94th ARCOM served in Vietnam. In 1991-1992, over 1,000 Soldiers from the 94th ARCOM served overseas in support of Operations Desert Shield and Desert Storm. 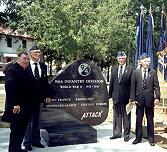 In 1995, the 94th ARCOM became the 94th Regional Support Command (RSC) and moved to Fort Devens, Massachusetts. 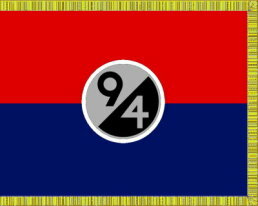 The 94th RSC deployed Soldiers to Honduras and Guatemala in 1999 for Operation New Horizon and later to the Balkans in support of Operations Joint Guardian and Joint Forge. After September 11, 2001, the 94th RSC deployed Soldiers in support of Operations Noble Eagle, Enduring Freedom and Iraqi Freedom. Mission areas include Continental United States (CONUS), Afghanistan, Uzbekistan, Iraq, Kuwait, Horn of Africa and Guantanamo Bay, Cuba. In December 2002, the 94th RSC moved into its current Headquarters at Devens, Massachusetts. 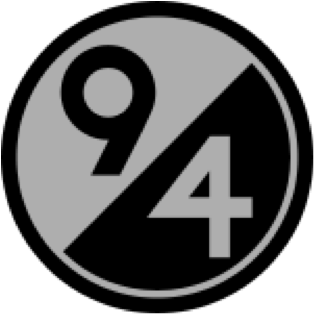 In August, 2003, the 94th RSC was redesignated the 94th Regional Readiness Command (RRC). The 94th Regional Readiness Command is made up of more than 6,000 citizen-soldiers who serve with 56 units located throughout New England. The 94th RRC has mobilized and deployed over 20 units and more than 2,500 Soldiers in support of the Global War on Terror. 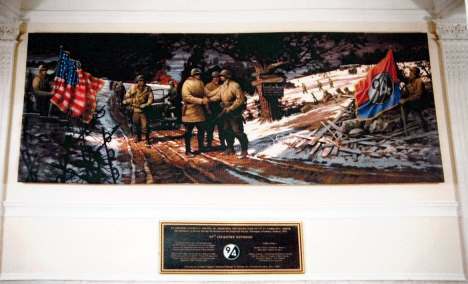 The 94th RRC was redesignated as the 94th Division (Force Sustainment) at Fort Lee, VA on 16 September 2008. 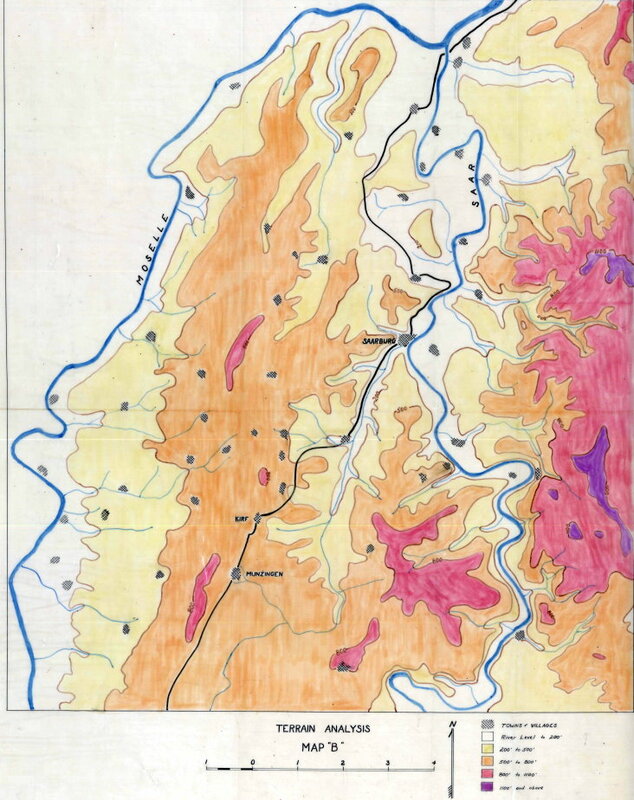 The Division is presently located at the General Gerow U.S. Army Reserve Center.